Did only His (Jesus’) human part die? 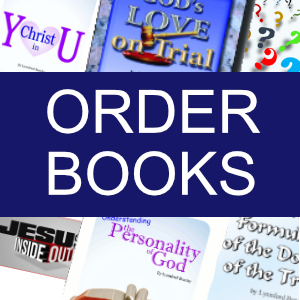 Home > Authors > Bible Study > Lynnford Beachy > Nature of Christ > Questions and Answers > Son of God Q&A > Truth About God > Truth About God Q&A > Did only His (Jesus’) human part die? This is an excellent question and is probably the most significant point of difference between what the Bible says and what most people with false ideas about God teach. Trinitarians teach that Christ was exactly equal with His Father and therefore could not die. They say that Christ came down from heaven and inhabited a human body and, when it came time to die, only the human body died while the divine being who came down from heaven remained alive. As you can see, if this were the case, we are left with only a human sacrifice for our sins. The fulness of God the Father that was dwelling in Christ, the Spirit of God without measure, did not die, for if that died, God the Father would have died. All of Christ died on Calvary. There was not a divine half alive and a human half dead. The Bible says, “We see Jesus, who was made a little lower than the angels for the suffering of death, crowned with glory and honour; that he by the grace of God should taste death for every man.” (Hebrews 2:9) According to the Bible, the divine being who came down from heaven died, or else it would be pointless for Him to be made lower than the angels. Paul wrote, “Let this mind be in you, which was also in Christ Jesus: Who, being in the form of God, thought it not robbery to be equal with God: But made himself of no reputation [“emptied himself.” —Green’s Literal Translation and RSV], and took upon him the form of a servant, and was made in the likeness of men: And being found in fashion as a man, he humbled himself, and became obedient unto death, even the death of the cross. Wherefore God also hath highly exalted him, and given him a name which is above every name.” (Philippians 2:5-9) The same being who was “in the form of God” in verse 6 died “the death of the cross” in verse 8. According to the Scripture, the soul of Christ died; the soul of Christ is what was made an offering for sin. We are told that the soul of Christ was in the grave. On the day of Pentecost Peter said, “He seeing this before spake of the resurrection of Christ, that his soul was not left in hell 86 , neither his flesh did see corruption.”(Acts 2:31)1 The word hell in the preceding verse was translated from the Greek word a@/dh” (Hades). This word means grave in every case. 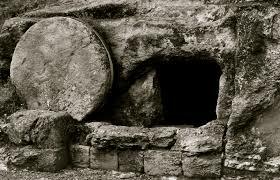 The soul of Christ rested with His body in the tomb. The Greek word that was translated “I might take,” (with Strong’s number 2983) can mean take, but also means this: “to receive (what is given), to gain, get, obtain, to get back.” (Thayer’s Greek Lexicon) Please notice that this word is also used in verse 18 but is translated “have I received.” Christ laid down His life that He might receive it again. The Greek word that was translated “power” can mean power, but can also mean “authority, permission.” (Thayer’s Greek Lexicon) Christ had permission to lay down His life so that He could receive it again from His Father. Christ could not, and did not, raise Himself from the dead or else He would not have been dead to begin with. When Christ died, He died as a whole being. Just as men are unconscious in death, so it was for the Son of God. He was dependent upon His Father to raise Him from the dead and was unable to come forth from the dead on His own. The divinity Christ had of His own while He was on this earth, along with His human nature, died on the cross for our sins.